Confused between Lifespan TR1200I vs Sole F80? Don’t worry! 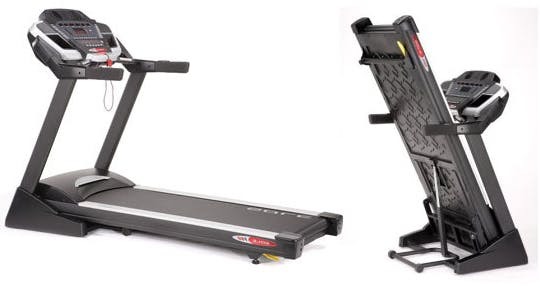 In this article, we will help you understand the differences between these two folding treadmills so that you can choose the right model for your home. They both are foldable, so that they can be stored without eating much space. But there are notable differences in the features and specs. 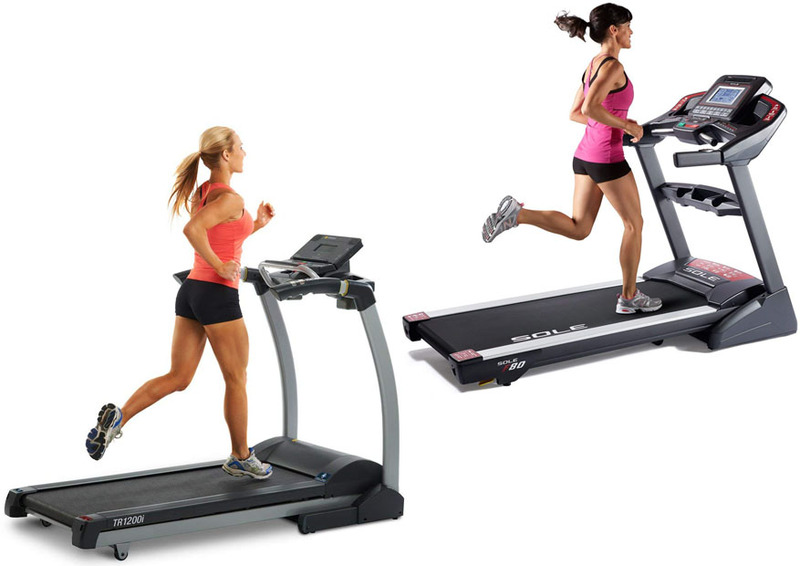 First of all, we start our comparison by taking a look at the dimensions of these treadmills. Checking the dimensions is very important because you need to make sure that the treadmill will actually fit in your room. Otherwise, if the treadmill is too large, it won’t be convenient to use, or it even won’t be usable at all. See also: Lifespan TR1200I vs Sole F63. Lifespan TR1200I is generally smaller and lighter. This model measures 70 inches long, 33 inches wide, and 54 inches high. The weight is about 204 lbs. So, it is more portable and more space-friendly. It won’t take too much space in your home. If the available space is very limited, this is the recommended choice for you. The stride area is also smaller. It measures 56” x 20”. This is suitable for most people. However, people with large physicality may find it a bit too narrow for their comfort. Sole F80 is larger and heavier, so it is not as practical to move around. It will take more space of your home. However, that is not a problem if you have plenty of space available. This model measures 80 inches long, 35 inches wide, and 58 inches high. The weight is about 311 lbs. Note that the slightly taller shape may make it more comfortable for tall people. The stride area is slightly longer and wider. It measures 60” x 22”. The increased space should make it more comfortable to use. People with large physicality will benefit the most from the increased stride area. In general, both Lifespan TR1200I vs Sole F80 have excellent build quality. Both models have highly sturdy and durable metallic frames. However, they do have different maximum user weight limits. Lifespan TR1200I is equipped with six compression shocks. The deck is equipped with a two-ply belt that is highly tough and durable. The compression system is effective for absorbing impacts so that you can run comfortably without putting much pressure to your feet and joints. The maximum weight limit is 300 lbs. Sole F80 has been made to withstand heavier forces. It features the Cushion Flex Deck and Shock Absorption system, which is highly effective for absorbing impacts and reducing joint stress. The two-ply belt is also tough and durable. The maximum weight limit for this model is 375 lbs, so it is suitable for slightly heavier people. Both Lifespan TR1200I vs Sole F80 are equipped with built-in heart rate sensors in their handlebars. These contact grip sensors are practical if you don’t want to use a chest-strap sensor. However, contact grip sensors are less accurate and consistent than chest-strap sensors. Both Lifespan TR1200I and Sole F80 can work with wireless chest-strap heart rate sensors as well. Lifespan TR1200I may look more advanced and sophisticated because of the multicolored LCD console. Sole F80 only has a two-color LCD screen. Nevertheless, both displays serve similar functions, and they both provide useful information such as speed, distance, time, heart rate, and calories. Lifespan TR1200I does not have Bluetooth by default. You can purchase a separate Bluetooth adapter, which will be plugged to the USB port, in order to sync your data with the fitness app in your smartphone. Old Sole F80 models don’t have Bluetooth, but the latest models since 2017 already come with built-in Bluetooth. 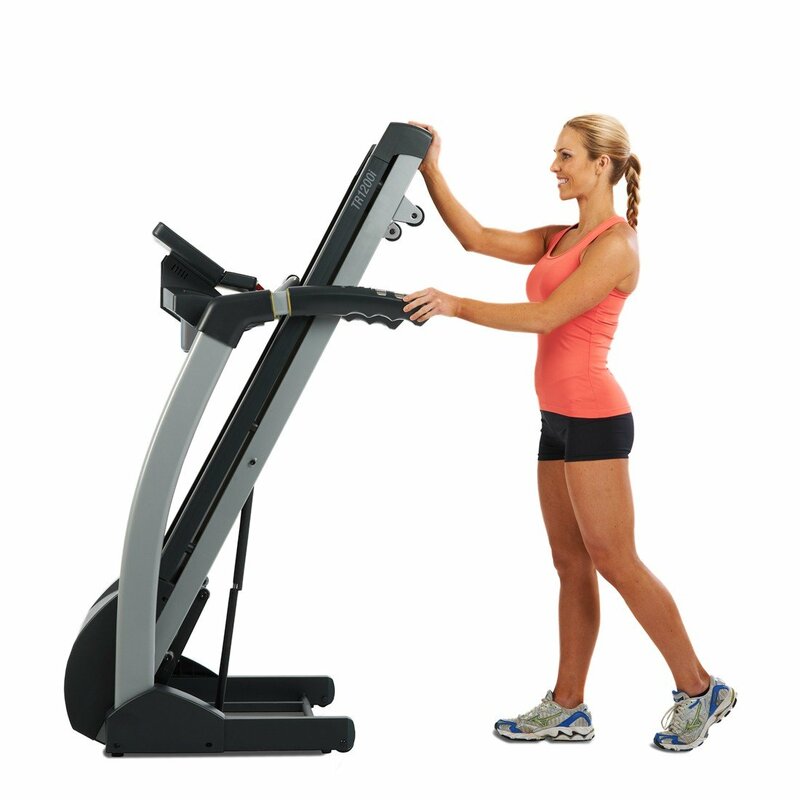 Both models have built-in speakers and audio inputs to allow you to play music while you are working out. However, Lifespan TR1200I also has a headphone output, in case that you want to use headphones. Sole F80 doesn’t have a headphone output, but it has a cooling fan and a wide media tray. Finally, Lifespan TR1200I comes with 21 built-in exercise programs, which include sports training, heart rate training, weight loss training, and custom programs. Sole F80 only has 10 built-in programs, which already include some programs for heart rate training, weight loss training, and customized training. Lifespan TR1200I is suitable for home users who only run casually. This model has enough power and speeds to keep you fit and running. It is armed with a 2.5 HP motor that can provide speeds from 0.5 MPH to 11 MPH. It also has 15 incline levels ranging from 0 to 15%. However, dedicated runners may want a machine that is more challenging. Sole F80 is suitable for experienced runners. This model is equipped with a more powerful motor. It has a 3.5 HP motor, which can provide a maximum speed of 12 MPH. There are also 15 incline levels from 0 to 15% to simulate different kinds of terrain. So, this treadmill can give your more challenges. Lifespan TR1200I is backed by a very good warranty. The frame and motor are covered for a lifetime, so you don’t need to worry about them breaking. The other parts are covered for 3 years, while the labor is covered for 1 year. Sole F80 also has a very good warranty. Similarly, the frame and motor are covered for a lifetime. However, the other parts and electronics are covered for 5 years, and the labor is covered for 2 years. In general, Sole F80 is more recommended. This treadmill has more useful features and a better warranty. The performance is also better, as it is equipped with a more powerful motor that can deliver higher speeds. It is suitable for home users as well as experienced runners.